Respect is key to any great relationship and like the song says, you’ll find your employees gone if they don’t get it. Sadly, only half of workers say they feel respected by their boss. So how do you show respect for your employees? 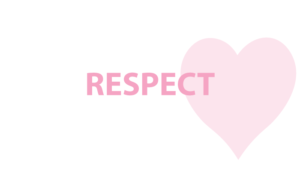 There are many ways individuals and the organization as a collective can show respect for one another. But since we are employee communication experts, we’ll focus on three ways your internal communications can contribute to a culture of respect. You’ve worked hard to attract amazing people and you’ve got the best and brightest on your team. Involving them and ensuring you listen to what they have to say is not just an important way of showing respect, it is also key to harnessing the power of their intelligence. It drives me bananas when organizations hire smart people and then fail to listen – what a waste of human potential! If you think that listening is a feedback box tucked in the back corner of the cafeteria, you are stuck in the 80s! Listening to your employees should be an integral part of your internal communications strategy. Consider using some of the amazing social tools available to encourage collaboration and idea sharing. Our favourite is Bonfyre, which allows organizations to create employee-driven digital communities. These communities foster vertical and horizontal conversations promoting higher engagement and more connected teams. You’ll need to build a strong feedback and listening culture by modelling and rewarding the right behaviours. Nothing drives people crazier and shows a lack of respect better than encouraging input and feedback and then doing nothing with it! Make sure you show how much you value the voices of your employees otherwise you’ll create a ‘heads down’ culture where no one is willing to speak up. One of the biggest mistakes I see companies make is around timing of announcement and news. Typically, there are two scenarios that make employees feel as though they are second class citizens. The first is when the outside world hears news before employees do. There is no greater way to insult your employees then to have news hit Twitter, the newswires and Facebook before you have made an announcement internally. If employees are your brand ambassadors and the heartbeat of your organization, they should be the first to know. Beyond treating them with respect, having them understand what is happening can be the best way to support your communication strategy. The second problem I see with timing relates to the cascade approach to internal news and announcements. Because people like to get information from their manager, organizations often use the cascade approach where information is delivered to executives first, then directors, and so on. Aside from the logistical issues created with this approach (it takes forever and information is usually leaked) it creates have’s and have nots. Information is power and giving some people information and withholding it with others sends a clear message that some employees are more valued than others. The tone of your messages whether written or verbal conveys an attitude towards your employees. The ‘voice’ that you use must convey respect. This doesn’t mean your voice needs to be stiff and formal. Find a voice that is authentic and a true reflection of your company, then let it flow naturally. Make sure your images and visuals reinforce the tone of your content and messaging. It is a good practice to make sure you don’t use words or images that might offend certain groups in your company – signalling a lack of respect. Using a phrase such as “let’s circle the wagons” is offensive to Indigenous people for example. I remember working with a client to develop a rewards and recognition program. The concept that they originally wanted to use was a symbol of evil and misfortune in many cultures, so we found something that was more suitable. A good way of ensuring your tone comes across as intended is to have a few people review your content. Even better, using a channel with built in measurement can help you aggregate feedback that will tell you whether or not you struck the right tone. Feeling respected leads to job love. It’s that simple. We can show you how to demonstrate respect and build job love through better internal communication. Give us a call today!